Our son Joshua’s sweeter than cheesecake and as precious and tender as a little boy could ever be…BUT he is ALL boy. His attention span…well…let’s just say is sometimes challenged. Truth be told, we’re a lot like Joshua. We get lost in our own thoughts, preoccupied with unimportant facts, distracted and focused on things that weigh heavily on our hearts. Today, we sense God ask: Why do you doubt? Why do you question? Why do you fear? As we paused to respond, we realized just how much our focus impacted our thoughts. Think about it. Isn’t the source of fear triggered by our thoughts? Isn’t the source of our discontentment bred in our passion to want more? Personally, when we focus on our limitations, impossibilities overwhelm us. BUT, when we focus on God’s omnipotence, we laugh at impossibilities. When we focus on our failures, our worth is useless. When we focus on God’s amazing grace, we rest confident in His plans. Every bad decision…Every burden…Every sin…is covered by God’s grace in Jesus. 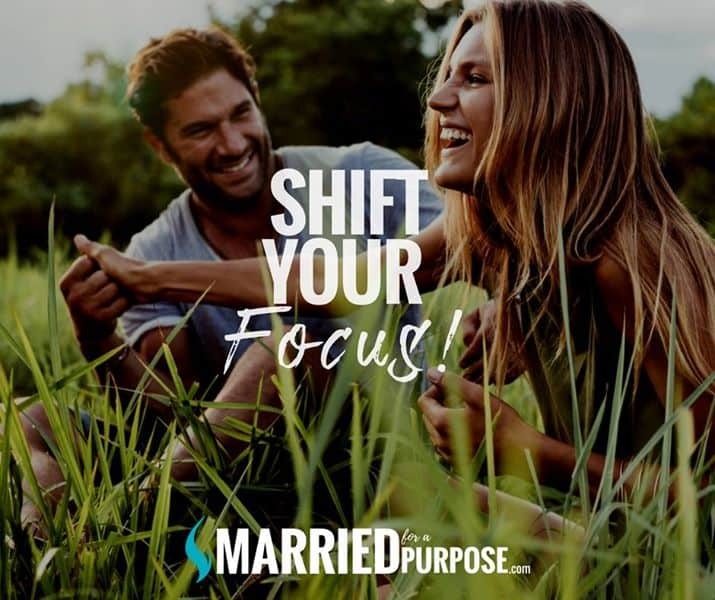 God invites you to shift your focus on HIM and HIS purpose for you and your marriage. Are you struggling? Feeling beaten down? Weighted by the circumstances of your life? If so, consider where your concentrating your attention. Shift your focus by remembering WHO you serve. Remember His character. Hold fast to HIS love…His righteousness…His grace. Remind each other each morning, God is for us! And, encourage one another to keep your FOCUS where it NEEDS to be–on HIM! Father, remind us of your great love. Remind us you are with us. Help us to transform our mind by remembering WHO YOU ARE and HOLDING FAST to YOUR PROMISES, in Jesus’ name, amen.